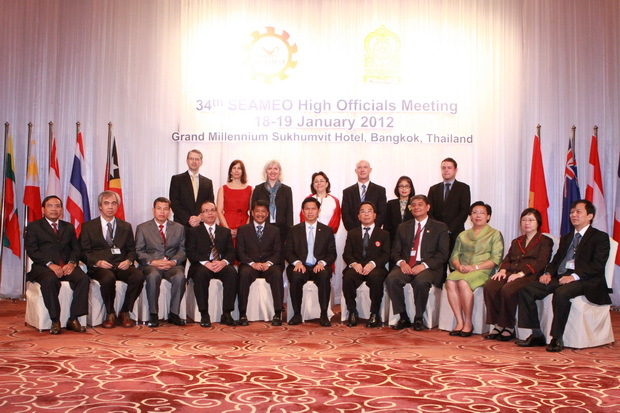 On January 17-19, 2012, the SEAMEO Secretariat, in cooperation with the Ministry of Education of Thailand, convened the 34th SEAMEO High Officials Meeting at the Grand Millennium Sukhumvit Hotel, Bangkok, Thailand. 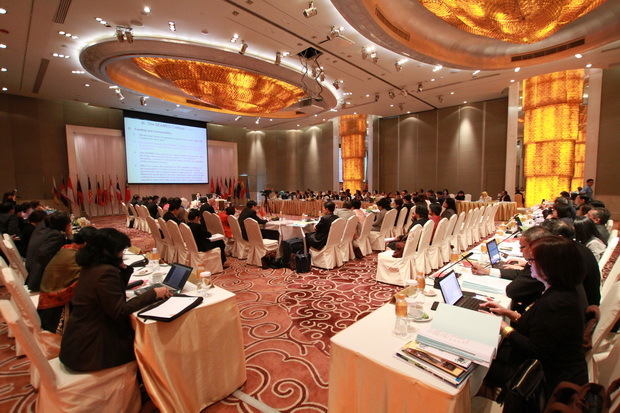 A total of 137 participants including high-level education officials from 18 countries representing the SEAMEO Member Countries, Associate Members, Affiliate Members, observers and other international organizations such as ASEAN Secretariat; UNESCO Bangkok; UNICEF EAPRO; Ministry of Education, Culture, Sports, Science and Technology (MEXT), Japan; Asian Development Bank; and Korean Education Development Institute attended the meeting. The Meeting concluded with the endorsement of the SEAMEO 10-year Strategic Plan (2011/2020) and the 5-year development plans of 4 SEAMEO Regional Centers. Other progress reports were also presented on various existing projects and initiatives.Dr. Ho Thanh My Phuong, SEAMEO RETRAC Acting Director and Ms. Nguyen Thi Phuong Uyen, Program Officer attended the Meeting. Particularly, the 34th SEAMEO HOM approved SEAMEO RETRAC’s amendments of its enabling instruments to meet new changes and needs in the current context.